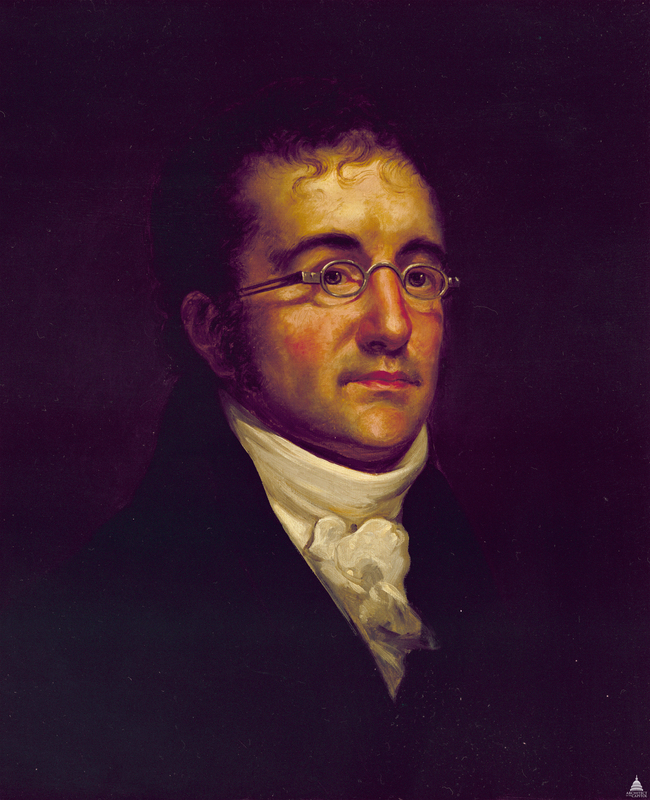 Benjamin Henry Latrobe was hired by President Jefferson in 1803 to fill the position of "Surveyor of Public Buildings," with the principal responsibility of constructing the Capitol's south wing. He was also responsible for work at the President's House and the Navy Yard. After the south wing was completed in 1807 Latrobe began reconstructing the interior of the north wing. Construction funds were withheld after 1810, and Latrobe’s public employment came to an end. After the two wings were damaged by fires set by British troops in 1814, Latrobe was rehired to oversee the restoration work. During this period, he worked only on the U.S. Capitol and had no responsibilities for other government buildings. Latrobe’s employment contract was signed with the commissioners on April 18, 1815, and he resigned on November 20, 1817. He left at the U.S. Capitol some of the greatest interiors in the history of neoclassicism in America, including the Hall of the House (now National Statuary Hall), the Old Senate Chamber and the Old Supreme Court Chamber. He is honored as the second Architect of the Capitol. Born in 1764 near Leeds, England, Latrobe studied architecture under Samuel Pepys Cockerell and engineering under John Smeaton. He emigrated in 1796 and began his American career in Virginia before settling in Philadelphia. There he designed the Bank of Pennsylvania, the first neoclassical building in the United States to display a Grecian order. He is also known for designing St. John's Church in Lafayette Square in Washington, D.C. In 1820 he died in New Orleans, where he had gone to build the city’s municipal water system.